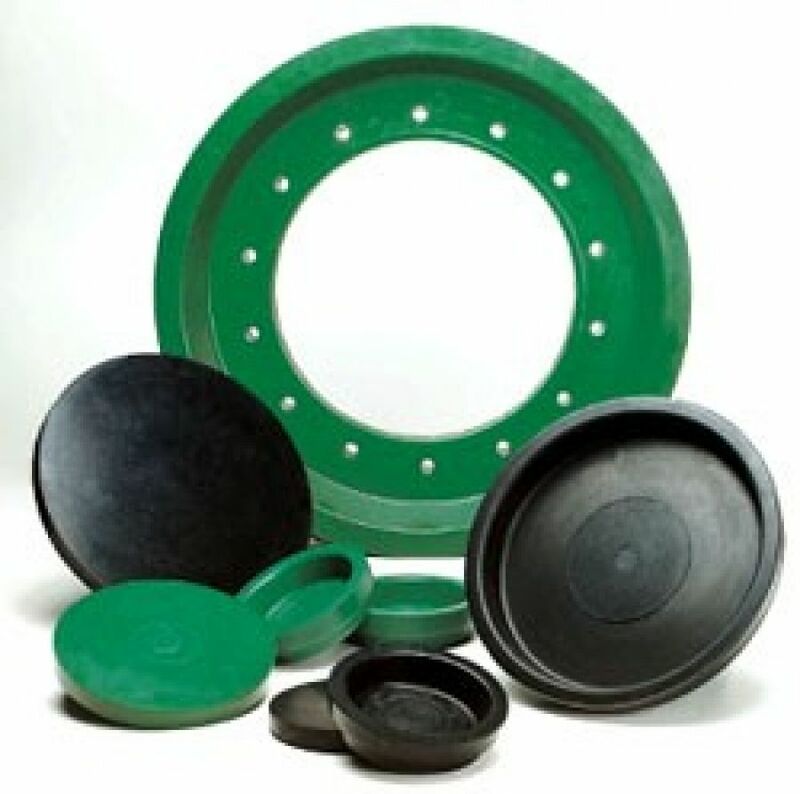 Drinkwater Products cups and discs are made of the highest quality materials for maximum abrasion resistance, elongation, sheer strength and chemical resistance to assure the best performance under the largest variety of pipeline conditions. Center-hole and bolt-circle dimensions can be customized to fit any pig body on the market, making them the ideal replacement cups and discs. Our cups and discs are designed to maintain a positive seal while also supporting the pig body. Multiple durometers are also available for specific applications. 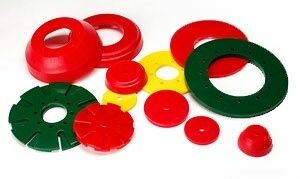 Cups and discs can be made out of urethane, neoprene and nitrile. The cups and discs are available in a full range of diameters up to 56".